Following dramatic changes in numbers of traveller and recession, as well as increased competition due to the consolidation of some major OTAs, more hotel chains around the world are focusing upon customer research in detail. Absolute Hotel Services Group, who operate properties throughout Southeast Asia and the Middle East, are one such chain seeking to understand the wants and needs of their guests on a more personal level. 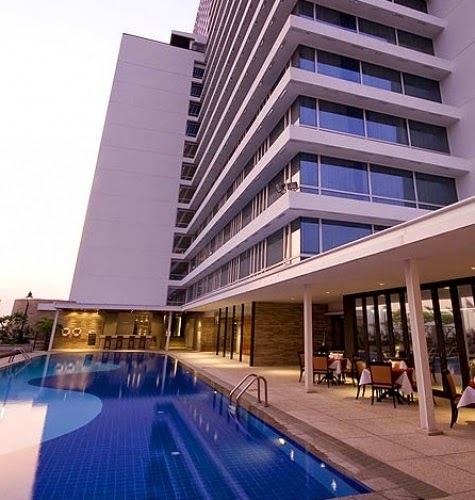 Absolute Hotel has choosen to partner with eRevMax, making use of RateTiger Corp solution to keep tabs on the competition and deeply analyse room rate trends. Absolute CEO Jonathan Wigley reports that RateTiger Corp is the best way of ‘understanding our customers and the challenges they face’. The eleventh edition of the International Hotel Technology Forum (IHTF), took place in Barcelona, Spain in early April this year. The two-day event saw over 600 business meetings with 50 speakers delivering cutting-edge insights into latest trends in the hospitality industry. John Seaton, VP Sales APAC & EMEA, and Cristina Blaj, Sales Director UK, Ireland & Scandinavia at eRevMax attended the event to network with industry veterans. Cristina participated in a panel discussion on “Engaging with the Digital Traveller – The Move to Mobile”. The panel consisted of Monika Nerger from Mandarin Hotels; Jeremy Ward from Kempinski Hotels and Nancy from Jumeirah Hotels. The discussion focused on evaluating the advent of mobile bookings and its trends to capitalise on modern buying patterns. They also emphasised on implementing guest-led trends in hospitality industry as more happy customers equal to more revenue. 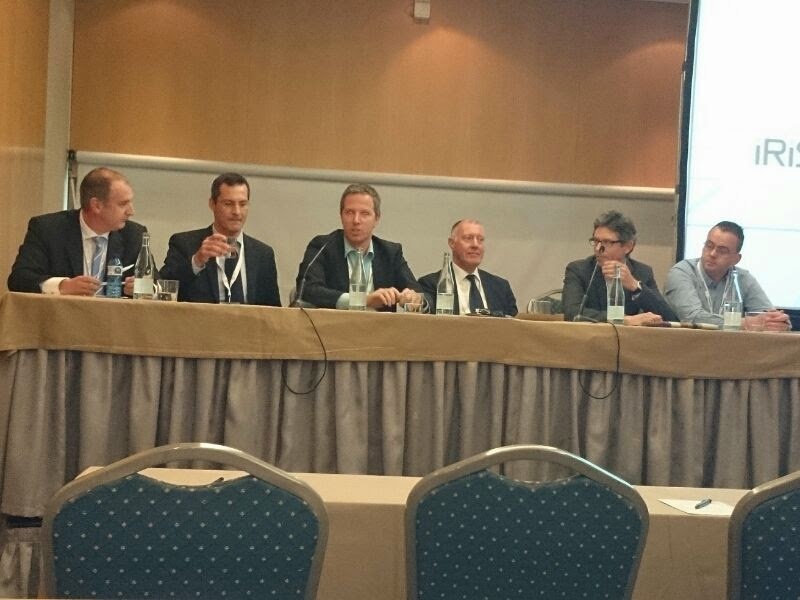 John Seaton was invited to participate in a panel on “Over-coming the Challenges in Diverse Distribution Channels”. He had Jon Siberry from Sarova Hotels and Lennert de Jong from CitizenM; among others as co-panelists. The speakers examined the current challenges faced by hoteliers in the diverse distribution space and the strategies for better channel performance. They also focused on how to analyze channel performance and how to capture guest data to determine best communication channel for each guests. Overall the event concluded on a positive note and there was constructive exchange of ideas and experiences. Mobile phone has radically changed the world – 62% of the world’s population is using mobile phones. Hospitality is no exception to this revolution, in some cases leading the way. It is the new face of computing as devices such as tablets and smartphones have revolutionized the way we interact with technology. The rise of mobile users have impacted business strategy and changed guest behavior largely. There has been a myth that mobile phone has the minimal impact on hospitality industry but as the smartphones and tablets become critical tools, the myth has been thoroughly laid to rest. Now nearly 45% travellers travel with two or more devices and 7% of bookings are done through mobile phone which is continuously increasing. With the grand entry of TripAdvisor and Google in the metasearch space the whole hotel distribution scenario has drastically changed. Modern travellers believe in competitive shopping. 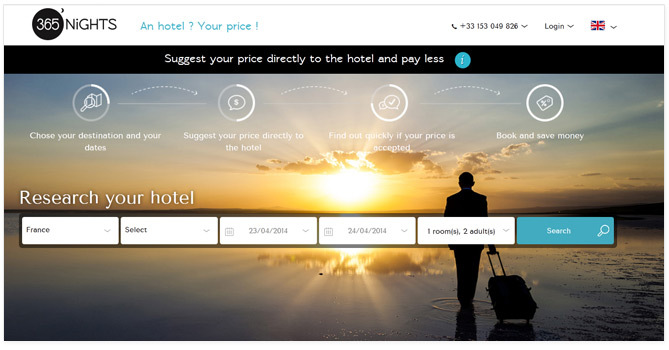 According a survey by eMarketer– a guest visits minimum six sites before he makes any booking decision. One of our recent infographics on meta-search shows that Kayak processed over 1577 million queries in 2013 and TripAdvisor receives 260 million monthly unique visits to its website. 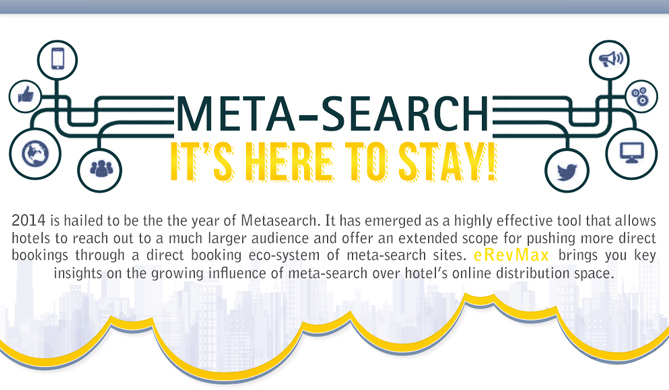 The dominance of meta-search engines will grow rapidly in 2014 as these sites are becoming mainstream in hotel distribution space. Research studies show that 85% travellers believe Wi-Fi in hotels should be free. Nowadays the only thing that guests would prefer over a complimentary breakfast or free parking is Wi-Fi. Modern travelers are hyper-connected and do not have patience for poor internet connection in hotels. Your hotel should facilitate free Wi-Fi so that business travellers can check their emails and take online conference calls, while leisure travelers can use the internet to communicate with friends and family or enjoy music. Poor internet connection is one of the most common complains and something that you should save your hotel from. So if your hotel provides free Wi-Fi service to guests, make sure that the speed of the internet is not irritating them. As we increasingly live our lives online, we’re finding that not only are there major downsides to all that social media over-sharing—but we may have little control over the way we appear on the internet. According to a new eMarketer report, the Worldwide Social Network Users in 2013 was 1.73 billion i.e. one in four people were connected through social media. And by 2017, total global social network audience will be 2.55 billion. TripAdvisor is the largest source of hotel reviews having 150 million reviews and opinions covering 3.7 million accommodation providers. Considering there are millions of reviews written each day across a plethora of different platforms, the internet has the power to influence one’s decision making process. So managing reputation be it through social media or replying to the guests directly through reputation management tool will become increasingly important. Guest service is an inseparable part of the hospitality business. However changing consumer tastes has led to higher expectations and hotels need to live up to these. Travellers today do not want to feel like they are in a corporate setting when they are staying at your hotel – they would rather prefer an environment where they can interact with people and receive personal attention. Eye for detail is an important aspect that hotels need to focus on and ‘wowing’ guests with impeccable service is something that every hotel is striving for. You need to identify what you can do to make your guests’ stay unforgettable to win over their loyalty. The travel industry is riding a wave of change. An unpredictable economy and fast-paced technological advancements have caused 21st century travellers to shift their behaviour dramatically. These travellers prefer to interact with hotel staff through technology rather than picking up the phone. About 40% of guests at a hotel select iPad as their communication device to connect to a hotel and plan check-in time. So what do guests want? Well, it could be a long list starting with – free Wi-Fi, automated check-in / check-out and multi-use lobbies that encourage guests to socialize among various other things. This new segment of traveler is no longer looking for white-linen service, hotel boy to carry their luggage up to their room rather to check-in online to bypass the front desk. When travellers enter a hotel, they look for a home-like ambience. Hotel companies need to be able to offer high quality guest service alongside seamless communication and comfort to every guest. To achieve this, a hotel needs to have its back-office set in a way such that everything moves to clock-wise precision. And this starts from the time the guest researches your hotel to making the reservation, the actual stay and post stay feedback. Everything needs to be managed efficiently for a well-rounded experience for the guest. Luxury hotel chain Hyatt International has recently endorsed eRevMax’s RateTiger, citing it as the most cost effective, efficient and beneficial ARI system for assisting Hyatt properties across Europe, Africa, the Middle East and Asia to meet their individual objectives whilst still maintaining the high standards associated with the Hyatt name. Along with Hyatt properties themselves, Hyatt franchises and partners, such as Hyatt Place, Hyatt House and Hyatt Residence Club will all be encouraged to implement RateTiger to manage their online availability, rates and inventory. Hyatt’s endorsement of RateTiger comes as more international hotel chains are opting for comprehensive systems which not only manage ARI, but also guest satisfaction and research.